Digital single-lens reflex cameras make it easy to capture rich photos and HD video. The best digital SLR cameras can capture 5 to 7 frames per second, have changeable lenses, Wi-Fi compatibility, and can capture hundreds of shots on a single battery charge. Our editors evaluate professional and owner-written reviews to name the best DSLRs based on price, features and performance. The Nikon D3300 offers great performance and useful features at a budget-friendly price. Its 24.2 megapixel sensor offers more than enough resolution for excellent photos, and it performs well above average (especially in this price category) under low light (no flash) conditions. Its battery is rated to take 700 shots between trips to the charger, so it's suitable for extended use in the field. The D3300 is also a bit smaller and lighter (just 17 ounces) than similar models in this price range, so it's easier to carry around all day. If you've grown beyond the basics, and are ready to step up to a camera with near pro-quality performance and image quality, but without the professional camera price tag, the feature-packed Nikon D7200 is tough to beat. Armed with a 24.2 megapixel image sensor, its still-image quality is at the top of its class. It's an excellent low-light performer, too. Long battery life make it a great choice for those that need to shoot lots of photos in the field. The feature set is robust and includes dual memory-card slots and Wi-Fi and NFC connectivity. Image quality: DSLRs' big sensors will make your photos look clearer and less grainy. Often, you can skip the flash. Even if you set a DSLR in a point-and-shoot automatic mode, you'll wind up with better photos than with a dedicated point-and-shoot camera. Speed: Even the slowest cameras in this report can shoot 5 frames per second (fps), and some up to 7 fps. They start up almost instantly, too. You can capture fast-action sports and the perfect blow-out-the-candles moment, and painlessly achieve that one family photo where everyone's eyes are open. You can change the lens: This opens the door to an entirely new world of photography. Options include super-wide-angle lenses, super-zoom lenses and more to get the perfect shot for a variety of situations. You can get creative: Blur fast-moving subjects, set a shallow depth of field for a professional-looking portrait, or use multiple exposures to combine several photos for action sequences or overlapping layers; DSLRs let you create all kinds of effects. Video: Every DSLR in this report can shoot HD video with the same advantages, including better image quality, a choice of lenses and more. DSLRs do have their drawbacks: They're bigger, heavier and usually more expensive than point-and-shoot cameras. A good beginner DSLR starts at about $400, while entry-pro DSLRs cost about $2,000 and up. In this report, we focus on models under $1,500; most non-professional consumers can find a high-quality DSLR for around $1,100 or less. Even the most dedicated photographers don't always carry a bulky DSLR everywhere, so you may still want a smaller digital camera for backup. For the best picks, see our separate report on digital cameras. That report also includes coverage of hybrid cameras -- mirrorless cameras that have interchangeable lenses like a DSLR but are small enough to fit into a jacket pocket. These cameras are faster than DSLRs and have electronic viewfinders. Less expensive DSLR cameras can help you learn to use a digital SLR without breaking your budget. But these aren't stripped-down models. They offer most of the same features as pricier cameras, and experts say they'll deliver equally outstanding photos for your albums and frames. Reviews reveal that there are several outstanding options in this category, but the Nikon D3300 (Est. $550 and up) just edges out the competition. Experts often say to ignore megapixel ratings when comparing cameras, but be that as it may, the D3300's 24.2 megapixels does beat out its similarly priced, nearly as well-regarded competitors, which top out around 20 megapixels. While expert reviewers like higher priced cameras even more, the Nikon D3300 earns favorable ratings for its class. One consumer testing organization names the Nikon D3300 a top pick, noting that it's a bit smaller and lighter (17 ounces with lens) than more-expensive rivals. The Nikon D3300 comes with a standard 3x (18-55 mm) zoom lens, and also in kits that include a fixed-focal length (50 mm) normal lens or a telephoto (55-200 mm) lens. This entry-level DSLR offers image stabilization, a must-have feature for capturing quality photos, and a 700-shot battery life that rivals many higher-priced models. Testers say both photo and video quality are good, even taking sharp photos in low-light conditions without a flash and with very little visual noise. The Nikon D3300 is one of the top-rated DSLRs on Amazon.com, earning a rating of 4.7 stars after more than 900 owner-written reviews. Reviewers say that the D3300 is ideal for entry-level users, offering the right mix of ease of use and quality performance. However, once you learn the basics of photography, you might crave a faster, more sophisticated camera. That's where step-up entry-level DSLRs come in. They're easy enough for a beginner to master, but advanced enough that you won't outgrow the camera quickly. The Nikon D5500 (Est. 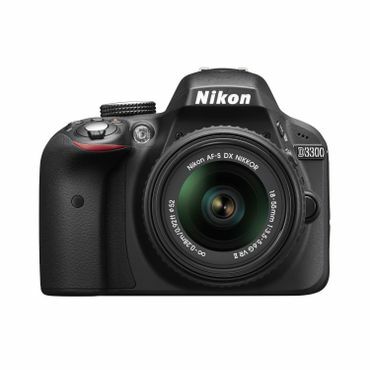 $750 and up) is a step above the popular D3300 beginner model, both in terms of price and features. Like the D3300, it has a resolution of 24.2 megapixels and a 5 fps shooting speed, but the D500 boasts longer battery life (enough capacity for around 820 shots). Its high-resolution, swiveling LCD viewer offers an intuitive, smartphone-like touchscreen, and it's capable of recording HD video for capturing action or creating effects such as slow motion. With built-in Wi-Fi capability, you can easily share photos or even control your camera remotely from your mobile device. It can be purchased as a camera body only, or in a kit with either a standard 3X zoom lens or a choice of two different telephoto lenses. Expert reviews generally praise the D5500 as a more-advanced model for the budding enthusiast. The lack of an anti-aliasing filter (optical low-pass) enables the camera's sensor to decipher greater detail, a plus in experts' eyes, though that also makes this camera more likely to be affected by patterning – often occurring when photographing repeated patterns such as pinstripes or checkered clothing or surfaces. Reviewers also note the D5500's small size compared to most DSLRs and its ease of use, although some say that the small size means that the controls may feel a bit cramped, particularly for users with large hands. The Nikon D5500 does come in a choice of black or red. If the Nikon D5500 is a little too compact for your liking, the Canon Rebel T6S (Est. $850 and up) is another DSLR to consider. Like the Nikon D5500, the T6S offers 24 megapixel resolution and a swiveling, touchscreen LCD display. It's also Wi-Fi enabled and can shoot at a rate of 5 fps. The main downside in comparison to the Nikon D5500 is the Canon's shorter battery life, enough for just 180 shots. It's also slightly slower at capturing an in-focus image from start to finish, at about 0.7 seconds versus the Nikon D5500's 0.2 seconds. The Canon Rebel T6S is a bit larger physically than the D5500, but professional reviewers note that its larger size allows for a better control layout, which may be more comfortable for users with larger hands to operate. Stepping up in class once again, you'll find semi-pro DSLRs that experts say will satisfy most serious photography enthusiasts. In this category, you get faster frame rates and shutter speeds, a sturdier build, more sophisticated autofocus and other advanced features. The Nikon D7200 (Est. 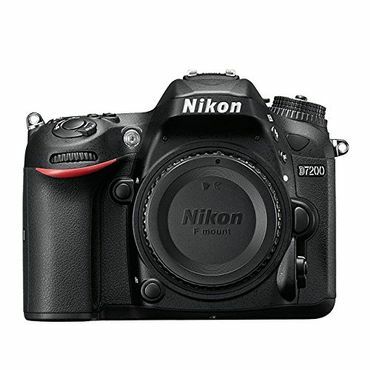 $1,050 and up) is an update to our previous Best Reviewed advanced DSLR camera, the still available Nikon D7100 (Est. $1,100).The D7200 has 24.2 megapixel resolution and can shoot at rates as fast as at 6 fps, or up to 7 fps in 1.3x crop mode (which uses less of the image sensor, with the trade-off being somewhat lower resolution). It weighs a bit more than other models at 26 ounces, but offers a substantial 1,110-shot battery life – an increase of about 15 percent over its predecessor. A rapid start-up time, short next-shot delay, and wireless capabilities put the D7200 on par with other top-quality DSLRs, but with a few extras -- such as two memory card slots -- that set it a bit apart. On the downside, while the Nikon D7200's LCD display is ample in size (3.2 inches) and resolution, it's fixed in place – no swiveling like other Nikon models – and surprisingly, it's not a touchscreen. Experts point out several key improvements that the D7200 enjoys compared to its predecessor, including a newer processor and a larger image buffer (up to 100 JPEG images) -- an especially welcome improvement for users who photograph wildlife or sports. Additionally, the camera is NFC (Near Field Communication) enabled, meaning NFC-enabled smartphones and tablets can be connected with a tap for easy image sharing. The Canon EOS 70D (Est. $1,000 and up) is another alternative. It boasts an outstanding autofocus feature, 20.2 megapixel resolution and a rated battery life of 210 shots. The Canon EOS 70D also includes an articulated touch-screen LCD as well as built-in GPS and Wi-Fi. The EOS 70D is noted for its especially high-quality video, and at 7 fps, its burst rate is faster than many other DSLR cameras. Expert reviewers say the Canon EOS 70D is ideal for practically any semi-professional shooting situation including both video and stills of sporting events, portraits, outdoor landscapes, and more, both in indoor and outdoor settings. It's Achilles heel is that in low-light settings, the Canon EOS 70D produced blurry shots in some professional tests, although the flash illuminates subjects well at both near and far distances and provides excellent and even coverage. Editors from one professional testing organization say that the Canon EOS 70D takes video quality better than most DSLRs (though 4K support is missing) and offers a faster start-up time and shorter next-shot delay than most models. The EOS 70D has built up a solid track record and remains available for now, but Canon has released its successor, the Canon EOS 80D (Est. $1,200 and up). Initial expert and user reviews are equally positive. That said, the improvements are described by experts as more evolutionary than revolutionary. "While the 70D was a significant technological upgrade over its 60D predecessor, the new Canon 80D successor builds upon the 70D's foundation with a host of improvements and updates, though perhaps not groundbreaking ones," reports Imaging-Resource.com. Upgrades include a higher-resolution image sensor (24. 2 megapixels), an upgraded processor, and an improved autofocus system. We found hundreds of expert reviews on sites like Amateur Photographer, DPReview.com, Imaging-Resource.com, TechRadar.com, PCMag.com, and others. Professional reviewers put digital SLRs to the test by snapping hundreds of shots and evaluating ease of use, features, photo quality in various lighting conditions, and more. Editors at ConsumerReports.org compare 26 DSLRs in head-to-head testing, rating each for ease of use, video quality, LCD photos, flash photos, and other performance indicators, also noting key features such as megapixels, weight, and battery life. We turned to Amazon.com and other user review sites to analyze thousands of owner-written reviews for insight into durability and real-world performance.